Growth is the only way to survive the cut-throat competition in today’s ecommerce arena. Homejoy, Quirky, LocalBanya – if you pick up case study of any recent failed ecommerce startup, you’d find the core reason of their failure was that they either failed to seize right growth opportunities or handled them badly. On the other hand, dominant ecommerce companies like Amazon & Alibaba have proven that growth is primarily about scaling your business – whether it is scaling to a new vertical, innovating a new service, or reaching out to a new market. So, it becomes imperative for entrepreneurs that they constantly look up for different ways to scale their startup (ecommerce or otherwise) to ensure sustainable future. 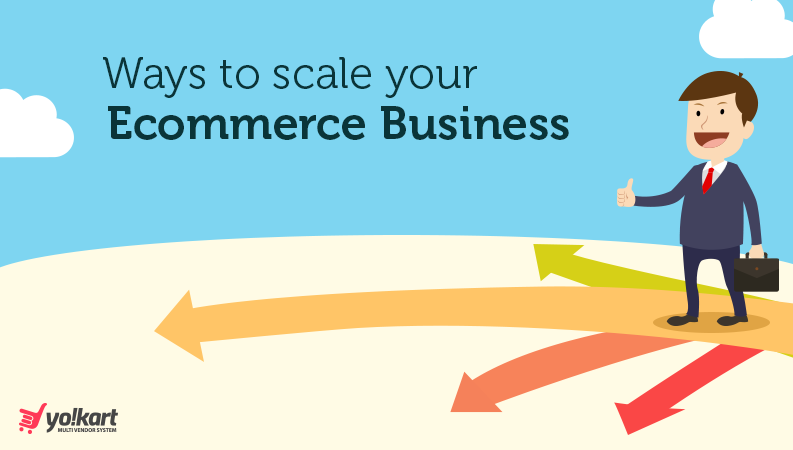 Here is a progressive guide on how you should go about scaling your ecommerce business. Every startup idea needs to be constantly fueled with money to scale to its true potential. So, raising fund is inevitably your first move as an entrepreneur looking to expand business. Your first challenge is to find investors. For that, you can attend Expos, join accelerator programs, local angel networks, etc. You can also use LinkedIn to look for investors in (or through) your professional network. By following above step of attracting investors, you certainly boost your chances of seizing a sizable funding. Originally, all scalability ideas would first occur in the human mind. So, how much your business could scale over a period of time will essentially depend on the talent & experience of your workforce. In today’s world of constant connectivity, there is no dearth of ways to look for people to hire. But being a bit more strategic will help you save time & money. Instead of just relying on popular career websites to hire talent for your startup, you should also focus on niche career websites and social media platforms, primarily LinkedIn. While hiring, keep your company’s core values in mind and see if the person will be the right support (in terms of commitment, talent, ideas) to deliver long-terms goals and to help you move closer to realizing your vision. And don’t feel reluctant to pay a little extra to hire the right talent, as in the long-run it will bring you much better ROI. You want to go farther; you’ve got to buy a better horse. It’s that simple. So far we have discussed about acquiring resources essential for scaling; now, we will gear-up to the actual business scaling tips. Whether your ecommerce startup has a targeted niche or deals in a wide range of products, a good way to scale your business is to start a new product line. For example, Amazon.com started its subsidiary AmazonFresh for online grocery shopping & delivery service; Alibaba started Taubau to enter the C2C ecommerce market & so on. These new product lines can be complementary to your existing offerings or can be around a new product/service altogether. Online electronics stores can add new product lines such as cases, covers, bags, etc. We wouldn’t have known Amazon as the globally dominant ecommerce player it is today, if it hadn’t expanded its reach in foreign markets like India, the UK, Canada, & so on. China’s Alibaba is also eyeing on the thriving Indian ecommerce market by investing in local ecommerce marketplace Snapdeal. Countless brick & mortar retailers who have started selling online serve as the ideal example of adopting new sales & delivery channels to scale up business. On the other hand, ecommerce businesses can tap into the offline retail space to scale their business, like Indian startups FirstCry & Lenskart did recently. In addition to offline, today ecommerce businesses can also use social media as an additional sales channel and easily expand their reach to a wider audience. Before moving further, take a look at this graph – popularly known as Ansoff Matrix (with examples) – as it provides a broader perspective on scaling your business to new verticals and markets. As your ecommerce company grows larger & starts to dominate the market, two new options to scale your business open up to you – namely merger & acquisition. There have been countless instances in the history when a company has acquired or merged with another to scale its business. More recent example from the ecommerce sector include, Indian ecommerce marketplace Flipkart acquired Myntra in 2014 to dominate country’s growing online apparel shopping market; and in 2015, China’s two leading online cab booking services Didi Dache & Kuaidi Dache merged for their mutual growth. It is also important to remember that not all acquisitions & mergers are destined to be successful. Therefore, while taking such steps entrepreneurs should analyze their options very cautiously, consider all ins & outs, and think long term. Every industry is evolving with constant technological advancements and ripening with new players coming up with unique ways to serve the same target audience. So, for every serious business, it becomes imperative to evolve with time by introducing an innovative service/product occasionally and grow further as per current dynamics. Now, innovation doesn’t (and cannot) happen every day. But the important thing is to constantly strive towards it, and distribute the available capital accordingly. Furthermore, keep a check on the following guidelines to make sure your innovation doesn’t go astray. If you ever pay heed to what has made the likes of Amazon & Alibaba stand the test of time and the constantly changing market, answer would be – because they have never stopped scaling their business to new verticals, expanding to new markets, and innovating new services. So, entrepreneurs, who want their startups to grow constantly, must learn to never stop striving towards finding different ways to scale their business. 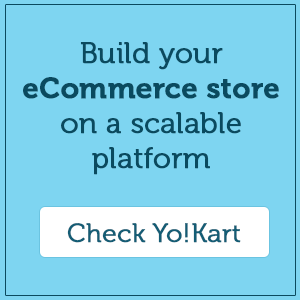 Need expert advice on how you should scale your ecommerce business?